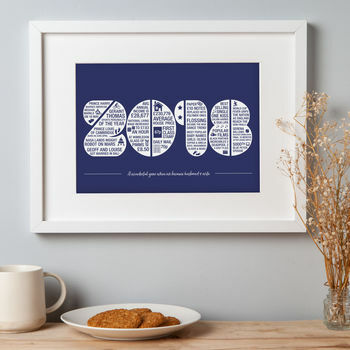 Our Personalised 2018 print features fabulous memories of this year, and makes a wonderful first wedding anniversary or birthday present. It wil become a talking point in your home. In years to come the child who was born that year will be able to keep and remember how much things cost when they were born. 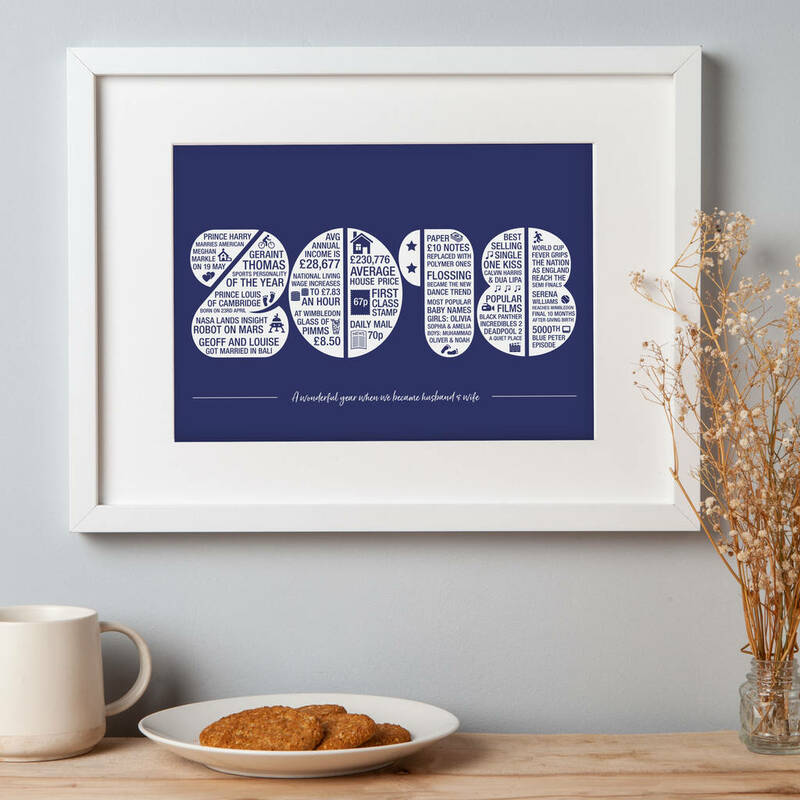 It includes facts of the year 2018, such as Popular Movies, Prices of key items, Sports news. The bottom of the number 2 will be where the personalised data you require will be added. See images for examples. 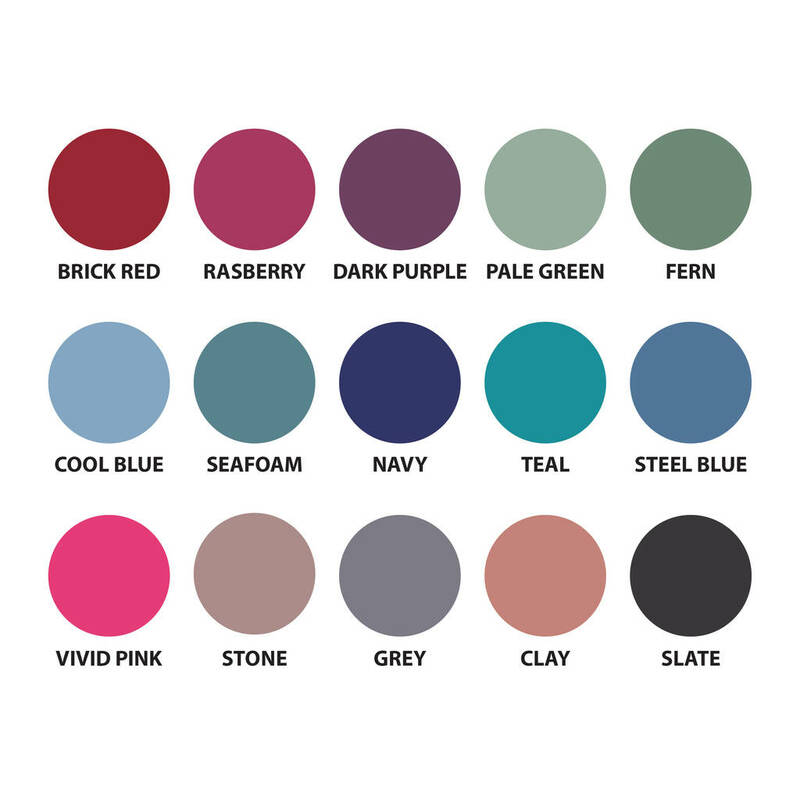 Choose from a wide range of colours, as displayed above. A proof can be emailed to you before the artwork is sent to print to ensure that everything is correct, however this will impact on delivery times and requires you to approve as soon as possible. To speed up the process you can choose not to receive this when ordering. This is a high quality giclee print that won't fade over time as I use the finest archival papers and the latest professional printers and vivid inks so should last 200 years.